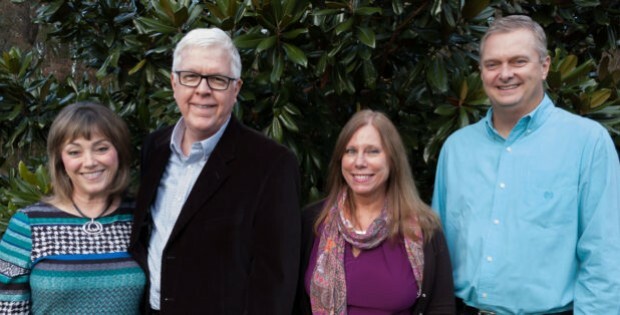 Christian Counseling Associates of Raleigh is pleased to provide in-person couples counseling and related services to residents in North Carolina’s Raleigh – Durham “Research Triangle.” We have close working relationships with hundreds of pastors and ministerial leaders in the area and welcome the opportunity to help them and members of their congregations. Our offices are conveniently located in North Raleigh, just off of Six Forks Road and Falls of Neuse Road, in close proximity to I-440 and I-540 exits. Accordingly, we are easily able to serve clients from Raleigh, North Raleigh, Wake Forest, Durham, Morrisville, Research Triangle Park, Rolesville, Youngsville, Louisburg, Creedmoor, Henderson, Knightdale and Garner. With close access from the Raleigh Beltline (I-440), Christian Counseling Associates of Raleigh is also a short drive from Triangle communities such as Cary, Apex, Holly Springs, Fuquay-Varina, Chapel Hill, Carrboro, Clayton, Wendell and Zebulon. By offering Extended Sessions, we find that clients from other outlying communities, including Sanford, Smithfield, Burlington, Greenville and Fayetteville determine that our services are “worth the drive,” for the benefits they experience. If you are a resident of the Raleigh – Durham Triangle Area, in North Carolina Counties including Wake, Durham, Franklin, Nash, Granville, Vance, Person, Chatham, Orange, Alamance, Lee, Harnett, Johnston, Cumberland, Wayne, Wilson, Halifax and Edgecombe, we hope you will consider Christian Counseling Associates of Raleigh, any time we may be of service to you.